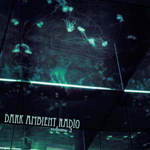 second output of dark ambient radio with established and more unknown projects (at least to me) that perfectly continues the tradition of the first compilation. atmosphere and sound fit the genre's rules, so nothing disturbs the sleep of the forsaken souls. if new to dark ambient this cd is a good start, and it's recommended device for veterans in case the net connection crashes again.